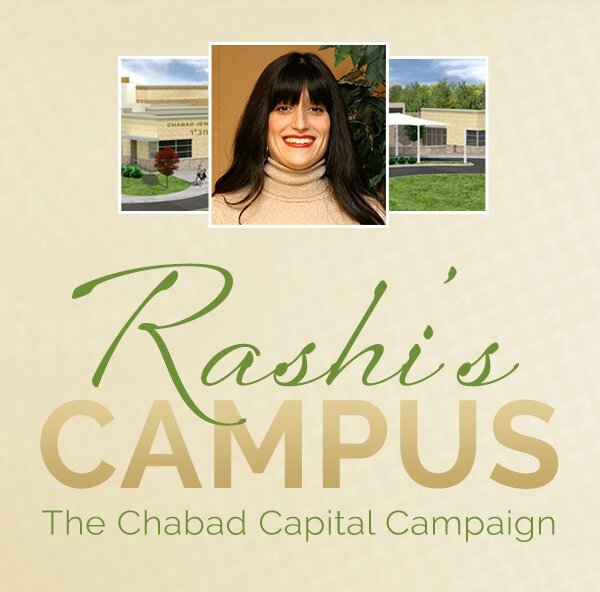 It is with great excitement and pleasure that we provide this update on Rashi’s Campus campaign. We have reached nearly 75% of our goal and are well on track for scheduling a ground breaking ceremony in the next few months. This would not have been possible without all of your generous and selfless contributions. THANK YOU! Just as Chabad believes that every Jew should have a spiritual home, so too do we believe that you should have the opportunity to participate in this once in a lifetime, community milestone. In our spirit of inclusion, every contribution, no matter the amount will be accepted, appreciated and eternalized in the new building. Additionally as is now well known, we are encouraging you to pledge your gift over a 3-5 year term, which significantly eases the financial burden and makes the opportunity to contribute accessible to all. For example, a $10,000 pledge over 5 years amounts to $166 per month (Approx. $125 AFTER tax deduction) and a $5000 pledge over 5 years is around $80 per month(Approx. $60 after tax). We desperately want YOU to be a part of this campaign and are encouraging 100% participation so please don’t be the one left out! Please accept this as your personal solicitation and DO NOT WAIT for us to call you. If you have any questions or comments please feel free to contact Anthony Shapiro on 678-687-4373. Once again, thank you for making this dream possible.